Like all art, music evokes emotion. It makes you feel happy, sad, energetic or even angry. 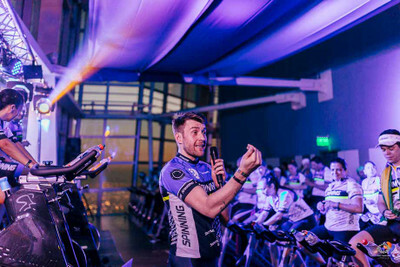 Music can whisk you back to the past, unleashing memories and feelings of special moments.In Spinning® classes, music plays a crucial role by motivating your students, helping them work through challenging rides and keeping them coming back for more. The right song can clear the mind and instill a sense of peace or accomplishment, or energize them to climb that hill or finish that sprint. The benefits of music, in daily life and in exercise, are simply incalculable. Want to deliver the best possible ride with the best possible music? 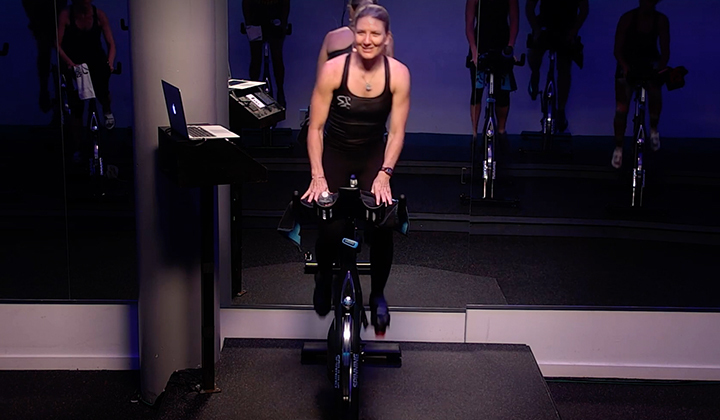 Here are eight tips to get the most out of your song choices in your Spinning class. Include a variety of tracks. In class, you may have 20 different riders with 20 different tastes and preferences. Playing all kinds of music will ensure that most of your riders find something they connect with. A variety of tempos and genres will also expose your students to music they normally would not listen to. You might be surprised at how many people come up to you after class to ask about that unexpected and intriguing song you featured. Step outside your comfort zone. 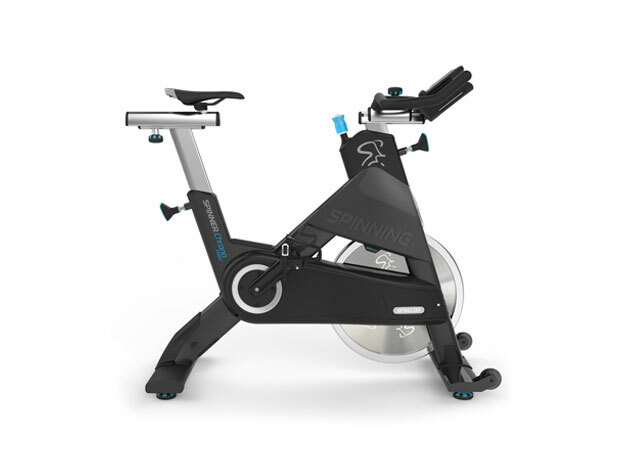 As Spinning professionals, we teach for others, not for ourselves. The music we play should reflect that. Though you may prefer constant rock or pop hits from the 80s, it might be best to switch it up a bit and choose songs that aren’t in your regular playlist. Play some songs that may not resonate with you might be a good match for your class. In the process, you might also discover that music you wouldn’t listen to off the bike might be the perfect choice on the bike. Take requests. This is your chance to be a DJ! Teaching an occasional “all request” class, wherein you take requests from riders before the ride, allows you to get a feel for what your students’ tastes are and may expose you to music you might have never thought to use. Neil Diamond’s “Coming to America” seemed like a hokey request during my last “all request” ride, but when class was over, it was simply spectacular. Who would have thought? Watch the intensity. 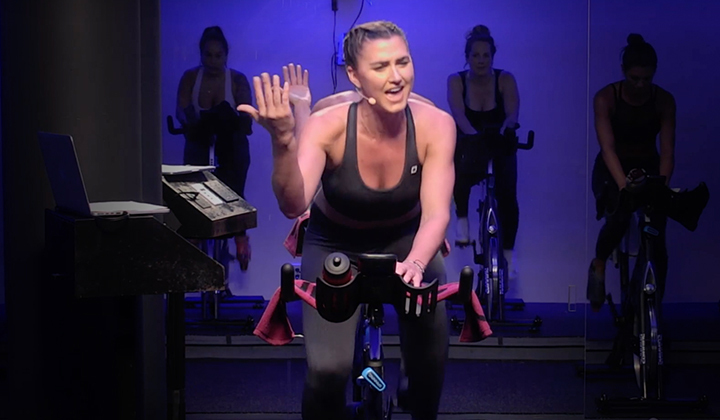 When the general public thinks of Spinning class, they think of heart-pounding contemporary techno hits. But that does not mean you need to fill your playlist with hard-hitting top hits or dance tunes. Select only 3–5 “in your face” hits and intersperse them with some eclectic or unusual selections. Try some Thievery Corporation or Rusted Root to blend with your Bon Jovi and Linkin Park. Take chances. Have you ever climbed to “Hotel California”, “Behind Blue Eyes” or even Rod Stewart’s “Passion?” Why not? Don’t let conventional choices rule your music selection. As a certified instructor, you have the talent, skill and knowledge to bring any song to the bike. Give something new a try—and make it yours. Ride off-beat. Music and BPM can be a great tool for keeping cadence during class. From years and years of group exercise, dance and music lessons, people like to be what they feel is “on target”. But each rider is unique, so it may be best to have their own beat. Teach them to also ride to songs with a less distinct beat (“American Pie” anyone? It will send shivers up your spine). Coach them to moderately accelerate towards the top of a hill, up and over the crest, to get them used to breaking tempo. Or use an unexpected breakaway as a method for them to connect with the ride itself rather than just a song. Little by little, guide them out of their comfort zones. Then let them sink back into familiar territory as their reward. Free your students with a free ride. For more experienced students, nothing beats the “free ride.” The free ride is your class’ favorite song; the one you love to ride to as a group. 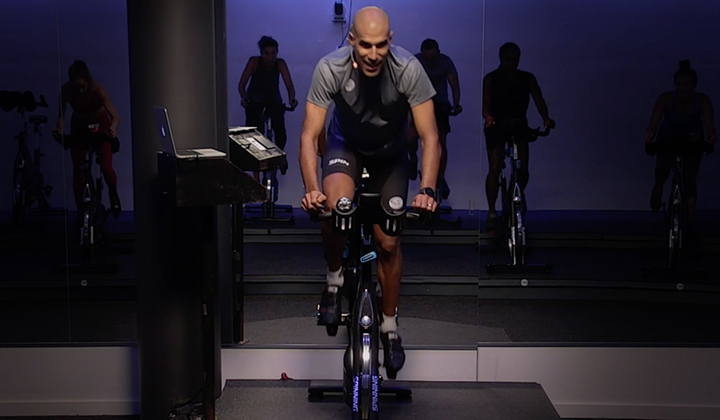 Play that song and let your riders chose their movement, resistance and cadence. Allow them to interpret the song the way they feel it inside, allowing their bodies to flow as the music moves them. Give them the controls. It’s a magical moment when “your” song comes on and your students do what comes natural to them. My favorite free ride song? “Sweet Child o’ Mine.” The first few familiar chords bring cheers from my tired riders. And then they cycle their hearts out, together as individuals, all with big smiles on their faces. Be flexible. If your students seem tired, give them energy. If they’ve had a long, arduous day, make it better with your class. Pick a ride profile and music that matches the mood of your group. Change mid-stream if you need to. If a quiet, steady strength ride is on your mind, but halfway through your class is petering out, switch to more upbeat music. If they seem stressed, don’t be afraid to step off the bike for a moment and change to a quiet mix to bring some peace into their lives. Music is powerful. Use its strength to benefit your students. While music is an important part of class, it is no substitute for a great instructor. In the end, it is just a tool. It is up to you to learn how to best use it!